Reading this quote reminds me of my recent adventures in Indonesia. 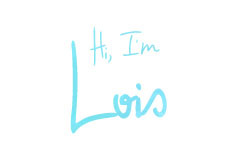 Lois and I had already gotten a preview on separate trips. We were so awed by it that we decided to go back together. We only planned to stay a week in Bali and a week in Lombok. But I fell in love with it so much that I ended up staying for two months! Being a surfer, I loved how surf spots were just a few minutes away from each other. Whereas surfers from Manila would travel 3-6 hours for one good sesh, in Bali you could just wake up, have time for yoga before breakfast and check the forecast for friendly waves. A walk or a motorbike ride takes you to the most amazing beaches! If the waves got too big, I would then savor the opportunity to explore temples, shop for pasalubong or just chill with beach buddies from around the world. I had no plans. I lived in the moment and just went with the flow. I discovered this amazing place because a friend left my surfboard here. It ended up being my favorite spot! Check out beautiful Mü and Temple Lodge for delicious European cuisine, yoga classes and spa. 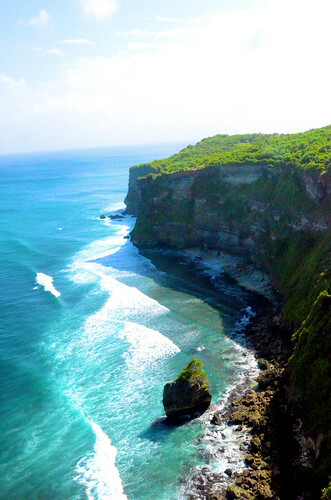 Walk down the steep stairway to heaven which leads down to Bingin beach and a surf break fondly called Impossibles. Your efforts are rewarded as soon as you start seeing the vast ocean view from up above. Many surfers wear helmets to protect themselves from the reef! There are more than a dozen places on the shore with stunning views starting at 150,000 IDR (about 16 USD). A strong hippie vibe radiates through this small town with yoga studios, vegan cafés and spas. Take a scenic walk and have lunch at Sari Organik for delicious local cuisine. Shop at the local market for all kinds of art and souvenirs. Explore Goa Gajah, an interesting archaeological site or trek through the rice terraces and bike nearby villages. Take a dip at the Tirta Empul to purify your soul. Perfect for families and beginner surfers. Waves are not as intense as the southern Bukit and safer because the stretch is mostly beach break. Never seen sand as black as charcoal but has bits that shine like diamonds! 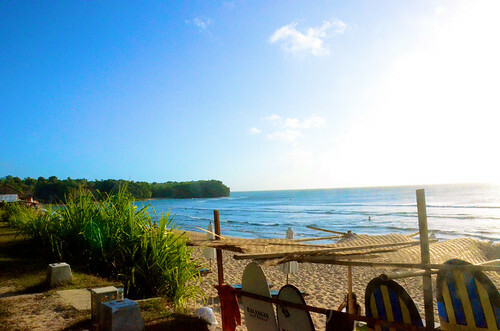 Stay along Jalan Pantai Berawan where rooms are more affordable 250,000 IDR (about 26 USD) then walk up the coastline to hip Canggu beach to watch kite boarders and surfers share the waves. Om Café is a cool place with a healthy menu. 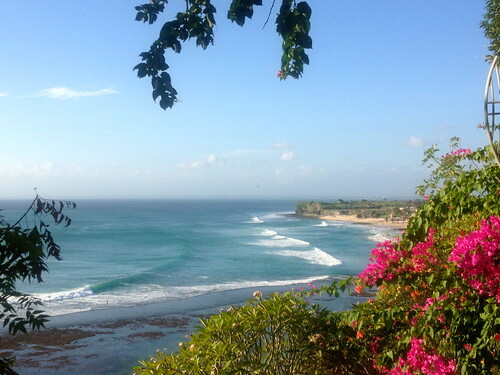 Walk up a bit further, through a Balinese temple and find Echo beach for more upscale shops. Have a scrumptious meal at Scallywags on a Sunday. This place is very commercialized but if you're craving for diversity and wanna take a break from the daily nasi goreng, you should come here. 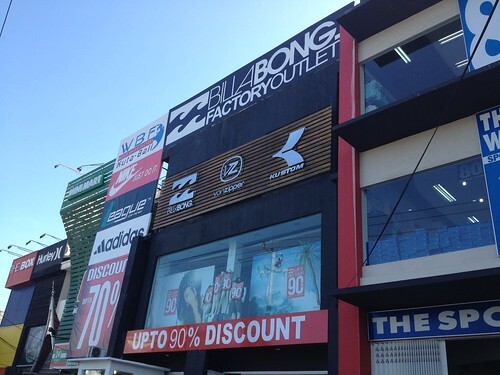 This is also the best place for shopping as it is home to quaint designer boutiques and huge outlet stores on nearby Jalan Ngurah Rai Pass. Perfect for partying but not for serious surfers and those craving for a calm beach vibe. Vendors sell you everything from food, souvenirs, mushrooms and temporary boyfriends. The crowds disappear as you walk further up north to Double Six Beach. Catch Ombak Bali, an international surf film fest every August. For a whole week, watch epic movies and documentaries about the surfing lifestyle on a big screen that's set up right on the beach every night. 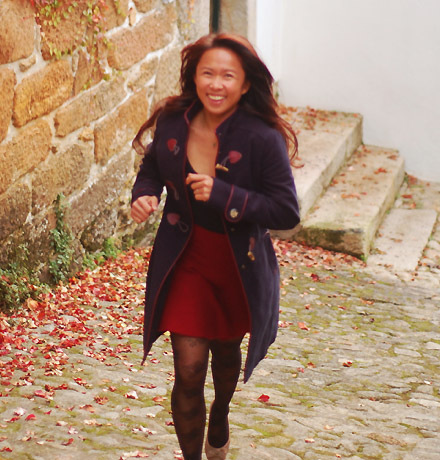 Run across this vast coastline from the fish market all the way to the restaurants specializing in seafood. Have some fresh fish, crabs and lobsters grilled for dinner while watching the sunset. 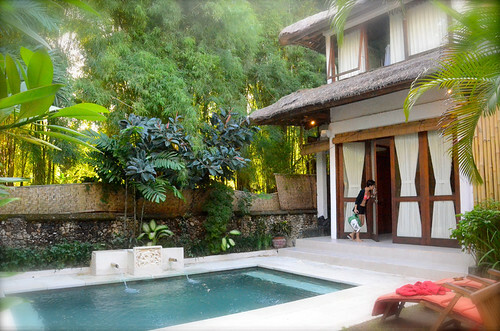 Why stay at the Four Seasons when you can stay in an equally charming villa right next door at affordable rates? Balangan is a backpacker's haven! Walk to the far right of the cliff for a stunning bird's eye view of the beach. There are about a dozen places to stay at right on the shore for 125,000 IDR (about 13 USD). Thy are all are rustic and there's no wi-fi, hot water or air conditioning. But the warm, local staff makes up for this. If you're not too comfortable surfing an unfamiliar reef break, consult the locals first. Everyone who gets a good ride gets their photo taken, thanks to the pro photographers shooting continuously with 600mm lenses. After your surf sesh, ask for your photos to be burnt onto a CD or copied into your memory card for a fee. Fine white sand covers this huge reef break. Set up your Lagu on the far right of Dreamland where the crowds are too lazy to go. 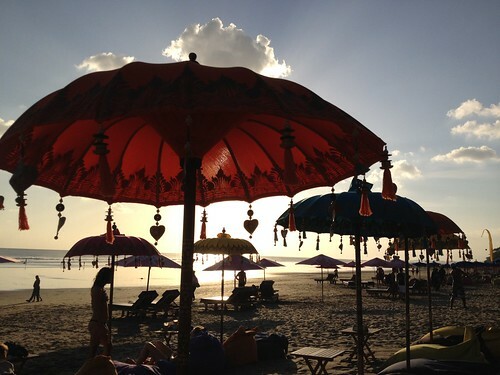 There is only one cafe on the beach so best to pass by Nirmala Grocery and bring your own picnic. There are quite a few breaks on Dreamland on a good day. As always, consult the lifeguards about the surf conditions first. Some villas and condos here are for rent but pricey and are usually for longer stays. Look for affordable accommodations outside Dreamland along Jalan Uluwatu instead so that you're always just 15 minutes away from the other beaches on the southern coast. It's a small beach so it gets crowded but the vibe is still cool and laid back. Walk through a dark cave leading down the beach. Some parts are only wide enough for one person so give way. There are no accommodations on the beach, only a few warungs and a tent that sells local T-shirts for 50,000 IDR (about 5 USD)- far cheaper than any cliché brands. Surf competitions are always held here for its favorable surf conditions. Walk through a jungle of warungs and have a Bintang, the local beer, while watching pro surfers get stoked at the southernmost point of Bali. Then stay at Uluwatu Surf Villas and drink at Single Fin. 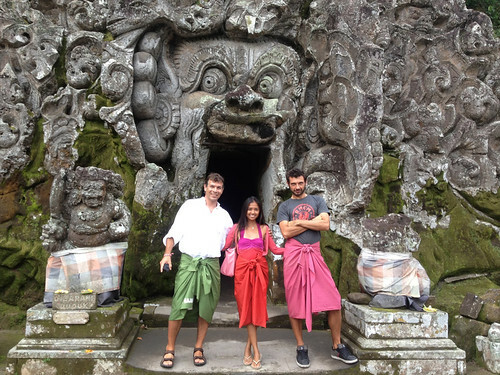 A trip to Uluwatu temple is spiritual. Catch the Kecac dance at sunset. No worries if you're not dressed appropriately. Sarongs can be borrowed for a small donation. A stunning view awaits when you get to the edge of the cliff and you are left speechless. But watch out for the monkeys! -Cebu Pacific Air will fly directly to Bali starting March 2013. Or you can check the fares on Airasia with one stopover. We chose the one from Kuala Lumpur and the layover wasn't so bad. 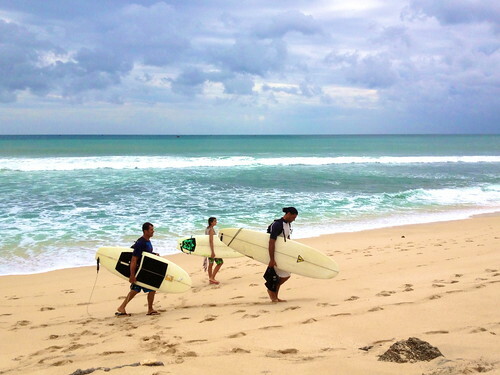 -If you're planning to surf for a few weeks in Bali, consider bringing your own surfboard. Some places may have boards available for rent although it may be expensive. 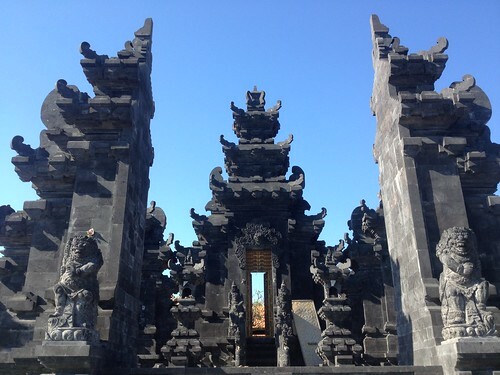 -If you want to explore Bali on the cheap, learn how to ride a motorbike- and don't forget to bring your international driver's license and travel insurance! *All photos were provided by the author. Adi Zarsadias was a corporate yuppie before she discovered she's happier spending everyday surfing, practicing yoga and traveling. Her passions have awakened her and at the same time continue to force her out of her comfort zone. She is currently completing Antigravity Yoga teacher training, a workout that uses a silk hammock through therapeutic poses and inversions. Her dream is to travel all the best beaches in the world while encouraging people to practice yoga. Adi's projects also include Secret Spot, a rustic surf resort in beautiful Baler, Aurora. Follow her adventures at lovethesearch.tumblr.com. Thank you! Glad you liked 'em! 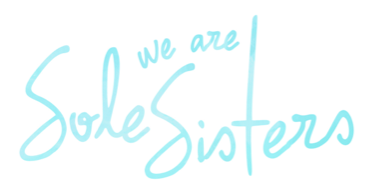 Love your blog and the fabulous photos. Hope to c you here in cantilan.